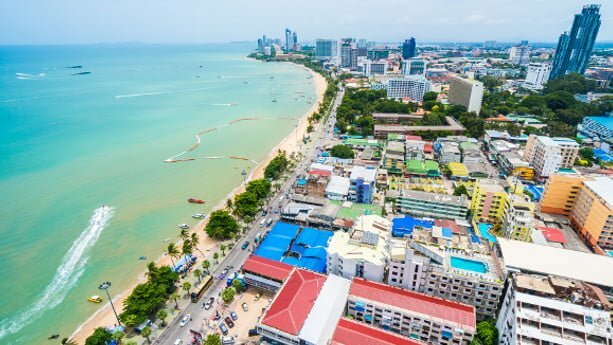 Pattaya is one of the most popular cities in Thailand and attracts a huge number Westerners and Chinese holiday spenders and retirees. Some people also decide to just move here and settling down with their families. You’ll be able to find many real estate agencies here, opened and run by foreigners. Often, they have decent on the ground experience and of doing business locally. In this article, I explain about more about some of the biggest and most reputable real estate agencies in Pattaya. b. The agencies are listed in a random order. Alan Bolton has resided in Pattaya since 1987, working with real estate in Pattaya and surrounding areas. He is the founder and managing director of the company. With more than 3 decades of experience on the ground, Alan Bolton Property Consultants is one of the most popular real estate agencies in Pattaya. They currently have around 7500 objects up for listing on their website. You can find everything from houses, condos and shell properties. They help foreigners to buy, rent or sell properties. RE/MAX Town & Country is headed by Cees Cuijpers (KC), he’s originally from the Netherlands and started his first business (a restaurant) in Pattaya in 1997. Cees has a long on the ground experience and a team of 10 persons, mixed with both foreigners and Thai nationals. They currently have 1350 objects up for listing. Town & Country sell both residential and commercial properties, including houses, land and condos, just to mention a few. Helping clients to buy, rent or sell properties in Pattaya and surrounding areas. Frank Satar has been in the real estate industry since the age of 18, when he first started out in Australia. Originally from Iran, he’s been working in the business for 19 years, 5 of those in Pattaya. Quoting Frank: “I know I am one of the lucky few who can truly say that I love every minute of what I do and to do it in this paradise city/country is just the icing on the cake for me”. There’s a vast number of properties on display on their website. The company mainly sells residential properties like condos, apartments, beachfront penthouses, studio condos, villas and land. Helps foreigners to buy, rent or sell properties in Pattaya and surrounding areas. Originally from France, Patrick Lewinger founded Pattaya Prestige Properties almost a decade ago, he has previously lived in Shanghai, China. His team consists of mainly Thai nationals, they’ve helped a number of large companies operating in Pattaya, such as Ford, GM, BMW and Ducati. The company currently has 3321 objects up for listing on their website. Includes both residential and commercial properties, such as condos, land, houses, schools, restaurants and more. Helping foreigners to buy, rent and sell properties. Siam Properties Pattaya was founded by Heiner Moessing in 2000, a company he’s managed to grow, becoming one of the most reputable agencies in Pattaya. The company has a number of employees, including both Thai nationals and foreigners. Heiner is originally from Germany and a member of a number of real estate associations in Thailand, like NAR (National Association of Realtors) and a CIPS (Certified International Property Specialist). Includes commercial and residential properties, like condos, houses, land, cafés, restaurants and more. They help foreigners to buy, rent or sell properties in Pattaya and surrounding areas. They also offer services in Decoration and Construction. Founded in 2001, Pattaya Realty is one of the oldest foreign owned agencies located in Pattaya. The company was founded and is managed by Stuart Daly, who’s of British origin. The company has 15 persons working for and members of all major trade organizations in the region, like the NAR (National Association of Realtors) and the Real Estate Broker Association of Thailand. Stuart is also the Vice President of the National Association of Realtors and a CIPS (Certified International Property Specialist). There are currently 2586 houses and condos listed on the website. Include both commercial properties and residential properties, like condos, villas, retail, industrial and offices. They even have a separate website, only focusing on commercial properties. Help foreigners to buy, sell, rent and maintain property. East Coast Realty is one of the oldest serving real estate agencies not only in Pattaya, but on the Eastern Seaboard. The company has more than 30 years of experience in the real estate industry, 18 of those in Thailand. The company has a team consisting of both foreign and Thai nationals, ready to cater foreigners who wish to buy property in Pattaya. At the moment I’m writing this article, they have 2083 objects listed on their website. Except for helping foreigners to buy, rent and sell properties, they also provide many “how to guides” on their website that are useful. Premier International is one of the most reputable and longest serving real estate agencies in Pattaya and Chonburi. Clayton Wade, the founder and Managing Director, spent his 20 last years working hands on Pattaya’s real estate market. He’s also a member of the National Association of Realtors (NAR), a CIPS (Certified International Property Specialist).for the Thailand Real Estate and Business School, the Vice-President of the Thailand Real Estate Sales and Marketing Association. Originally from the United States, he has a large team helping to cater foreigners in Pattaya. 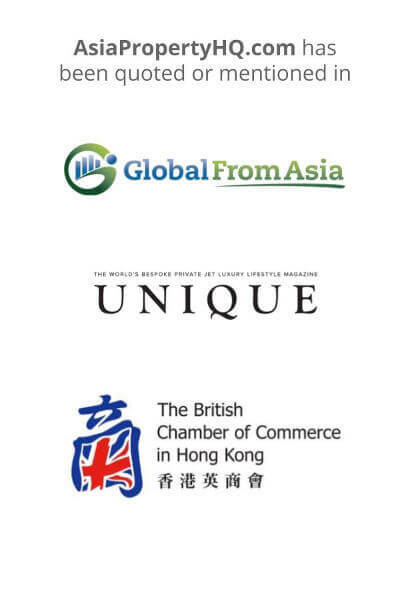 Some of their clients include GM, Siemens, Shell and BMW. The company deals with both residential and commercial properties, including condos, land, beachland, commercial buildings, shophouses and more. Gecko Properties focuses mainly on established and off-plan condo units located in Pattaya and its surrounding areas. Steve Scholey is the founder and Managing Director, after climbing to a position as Office Manager at another real estate agency in Pattaya, Steve decided to set up his own company. The company was founded in 2013 and has a mixture of British nationals and Thai nationals. You can find many testimonials where previous clients are grateful for the services. Mostly condos, both also houses and land. They help foreigners to buy, rent or sell properties in Pattaya and its surrounding areas. How’s the property market in Pattaya? The market relies heavily on foreign buyers and is therefore vulnerable to the economic climate in other countries, for example Russia and China. We saw a decline in oil prices some years ago, which in turn affected the Russian economy badly and weakened the Ruble. This had a direct impact on the Pattaya property market. Places like Hua Hin and Bangkok are less vulnerable in that sense, as locals buy here as well. What are the benefits of buying in Pattaya compared to Bangkok? You have access to the beach, property is cheaper on average, buying a villa or beach house is not rare among foreigners. There are a number of areas, like Jomtien, which gets increasingly popular, where prices are lower and there’s less hustle and bustle. I am a 40+ year veteran of real estate (mostly in the US). I am launching a “game changer” in Asian real estate and I would enjoy sitting down with you for an introduction and meeting. Are you located in the Pattaya area – or Bangkok – or? Thanks for introducing yourself. We are working with agent that cover both Pattaya and Bangkok.